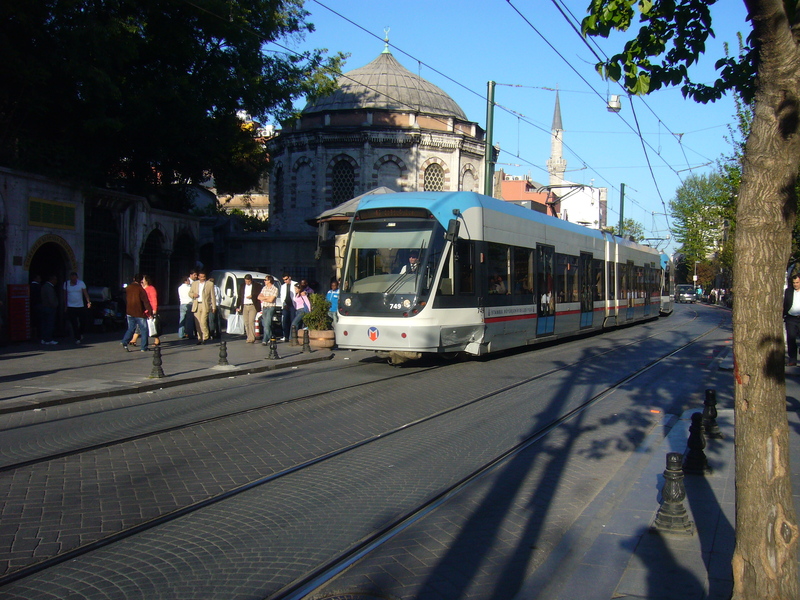 This is the second part of my adventures in Istanbul – the first part is „How to lose your passport – in Istanbul“. I really recommend to read the first part first – otherwise you may not understand everything. After a few minutes of asking he offered me a ticket but only with sleeping wagon till Dimitrovgrad, which will be reached at 6:19 in the Morning. From there he told me I would have to wait for the next regular train to Sofia. Not really aware what I was doing but just wanting to start away from Istanbul (although the city is very, very nice) I agreed and for 58,30 Lira (29,81 Euro) I got a ticket home! The tram brakes very hard. Just normal, for this tram line – unbelievable how many people, cars and whatever else is crossing this line. After one minute it goes on – but than another even more hard brake and a few people couldn’t hold themselves. To their luck, the tram was full enough that no one felled. We recently hit a car. 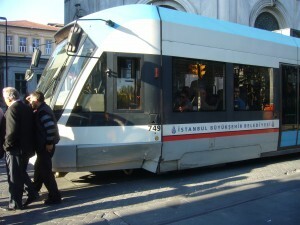 The tram I was on…. – easy to see: the left front side is damaged. The tram just went on after 10 minutes – not a big problem…. I finally reached the hotel – all my baggage was still there and I could drink some more water. 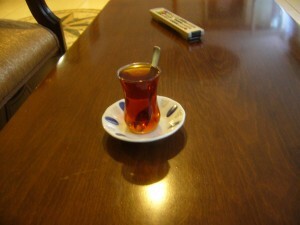 I also ordered a tea and used the free WiFi-connection to post an image to twitter. I also had my second Turkish tea. But after the accident I was even more stressed to catch my train and after a new shirt (I had my baggage back :-)) and after the tea I started back to the station. 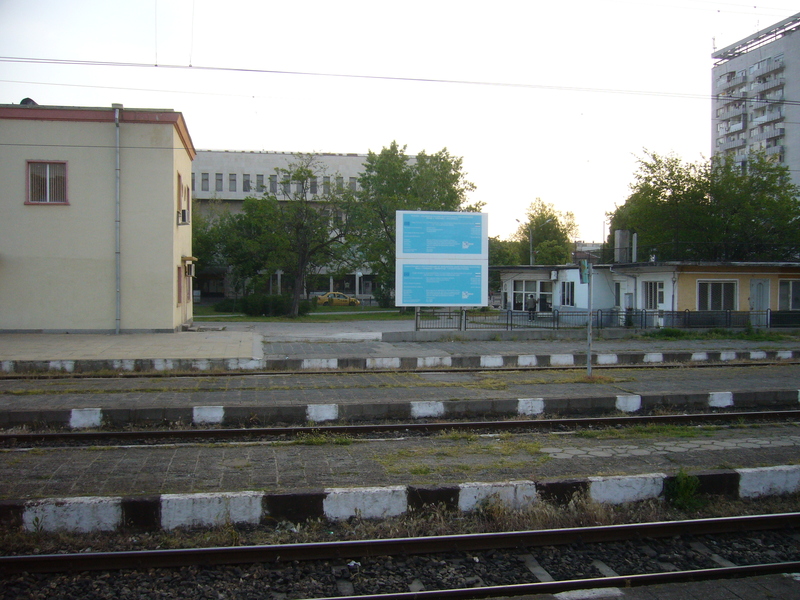 …which I reached 2 hours and 30 minutes before the train departure. 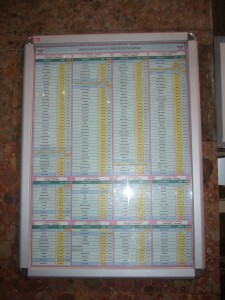 Timetable of Istanbul Sirkeci – all arrivals, all departures for one day. A bit different – as I’m used to Frankfurt am Main central station. 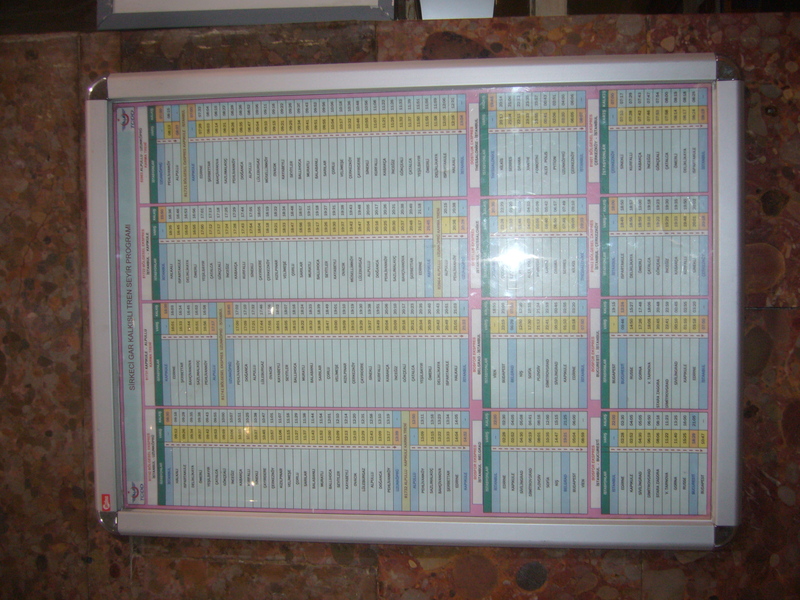 5 trains arrive and 5 trains leave at the whole day. 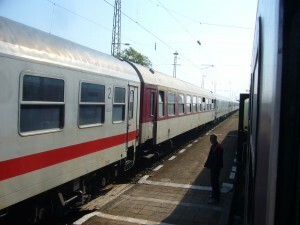 3 from these are national trains, one of these reaches the border to Bulgaria. 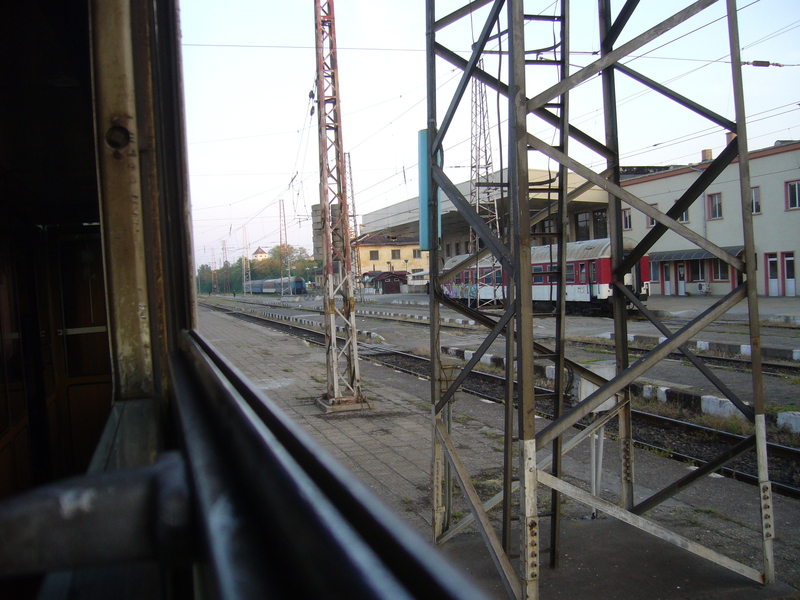 One night train to Thessaloniki – the other to Sofia and Bucharest (with spilt in Dimitrovgrad)…. 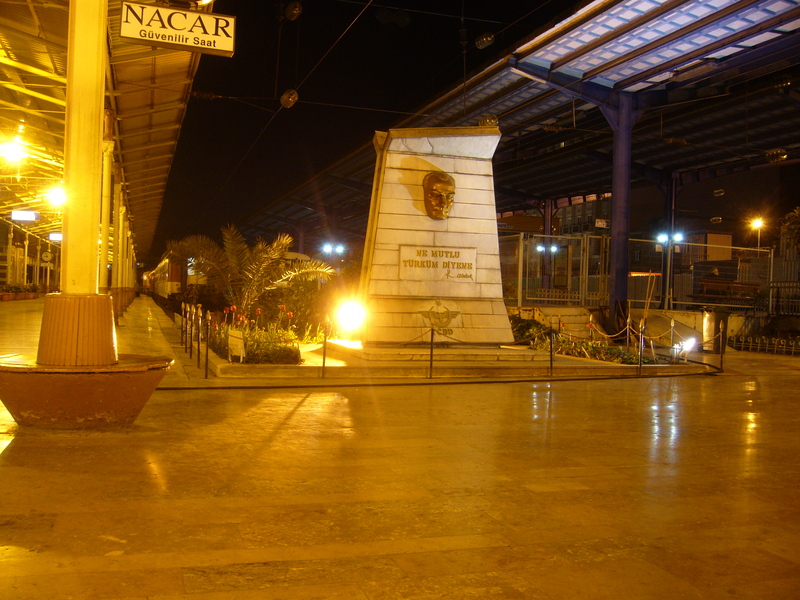 Platform one of Istanbul Sirkeci – the only for non-commuter trains. 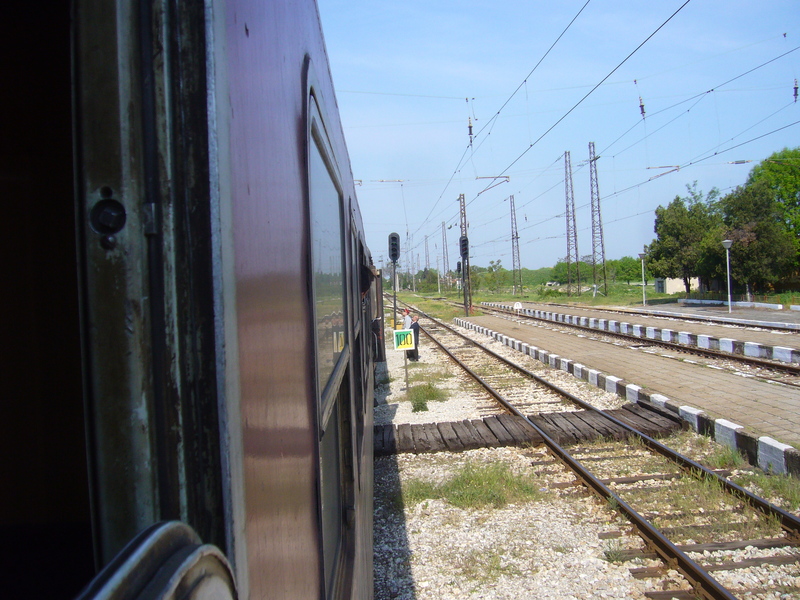 Departure of the train to Thessaloniki – called „Dostluk Ekspresi – Friendship Express“. 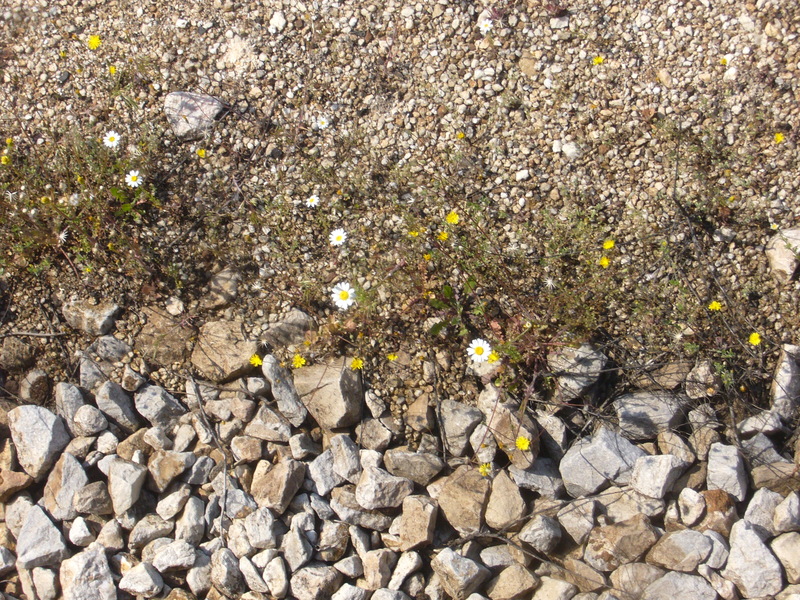 I used the time to make some photos…. 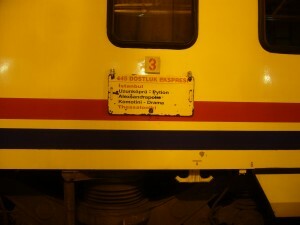 Bosporus Express is made ready for boarding. 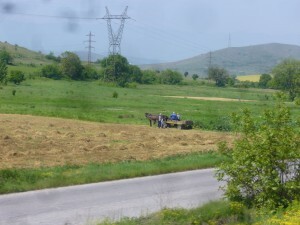 Same type of wagon as in Varna – but this time without coke heating. When I saw this wagon compared to the next two wagons (it had only three at all)…. 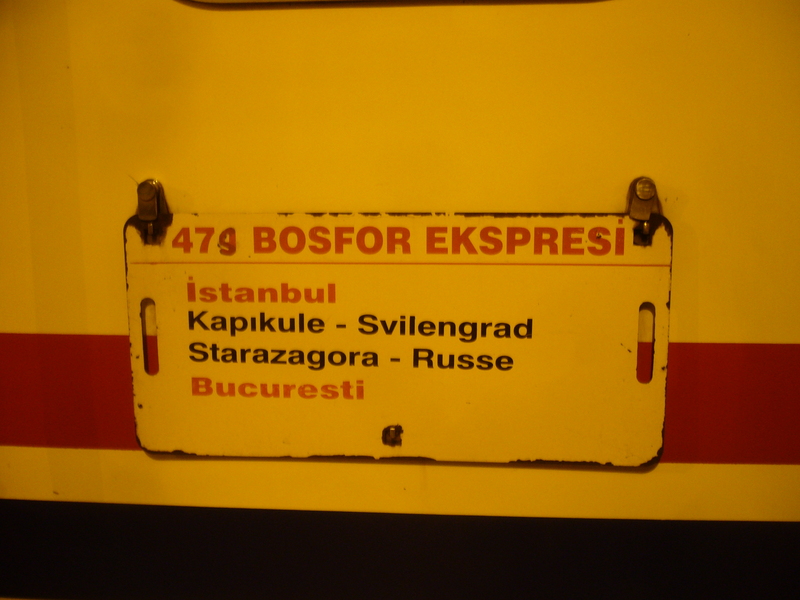 …I was somehow happy, to have a reservation for the non-Bulgarian wagon (sorry Bulgaria…). My reservation was for wagon 479 – and as I could not find it (yes, you can see it in the image, but I was not intelligent enough…) I asked the conductor of the Romanian wagon, which is my wagon. 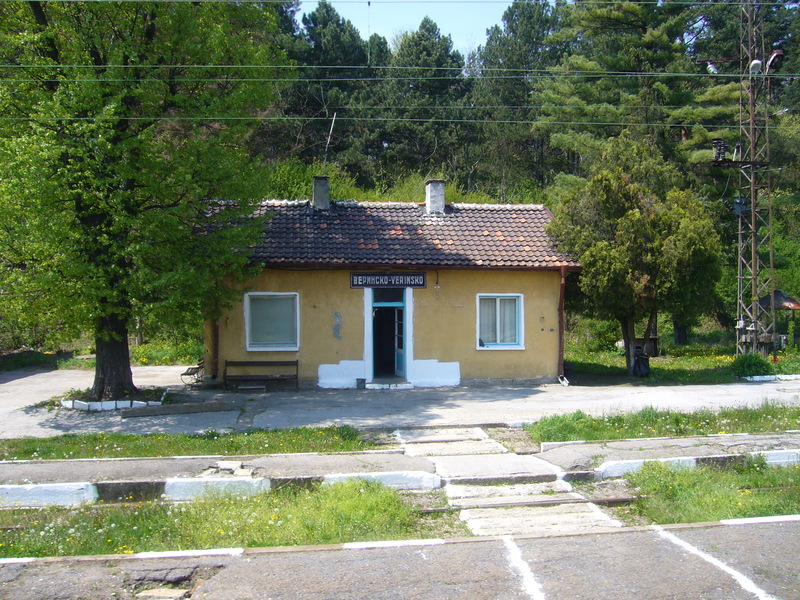 He mentioned that my reservation does not fit to my ticked (Istanbul – Sofia vs. Istanbul – Dimitrovgrad) – and that the reservation is in a cabin for six persons. 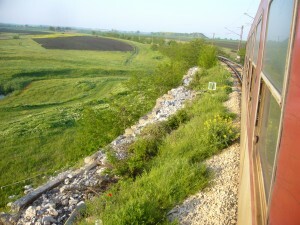 There was the possibility to gain a first class ticket upgrade to a single cabin in the Romanian wagon – after ten Euro changed hands. We are driving. Absolutely on time. 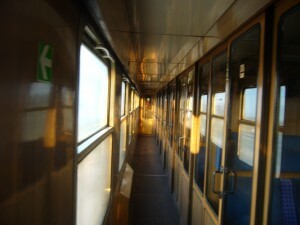 But being alone in a train somewhere between Istanbul and the Bulgarian border feels really strange. And to be serious: I really missed the company of other Erasmus. As visible in the schedule I could get some sleep till 2:45 – than I would have to get up for border control. 4,5 hours of sleep – I seriously slept less…. 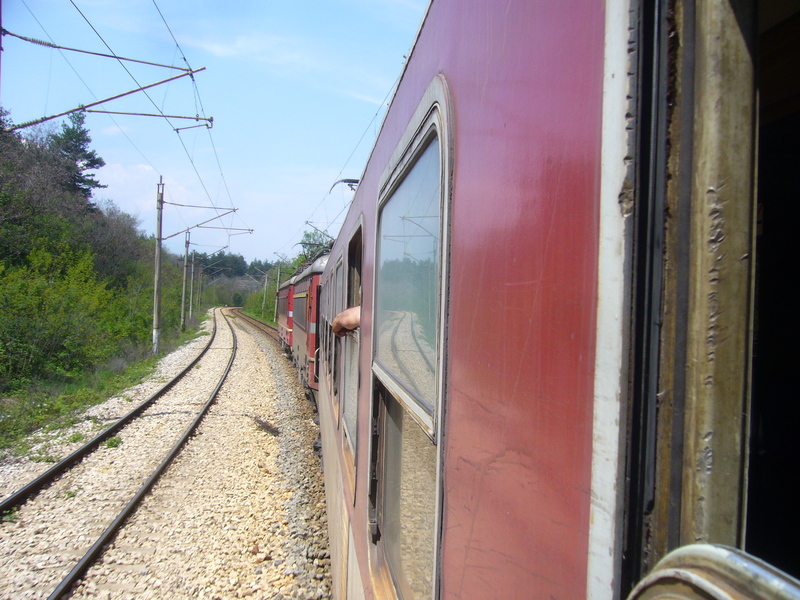 *knok*knok* – the conductor waked all passengers up to be ready for the border control. 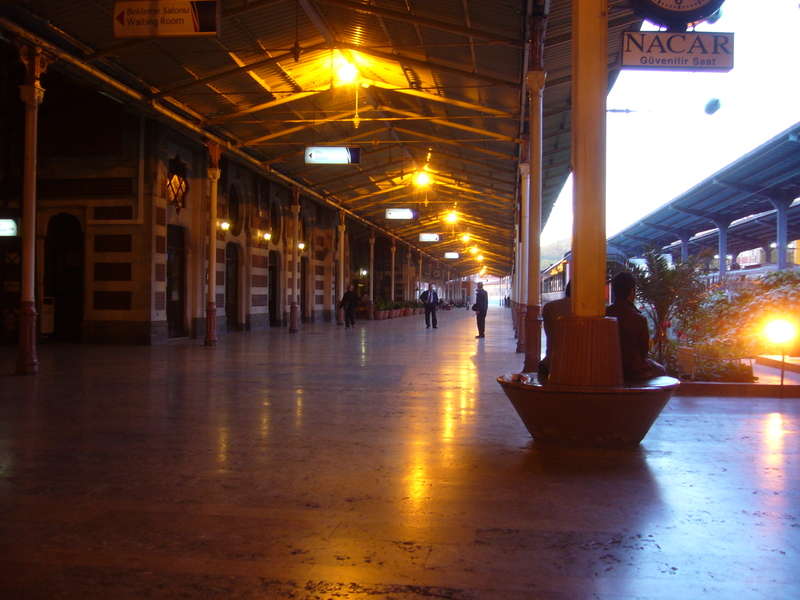 I woke up some 10 minutes earlier – so I could see the station before the border. We had 10 minutes delay – just for the log. 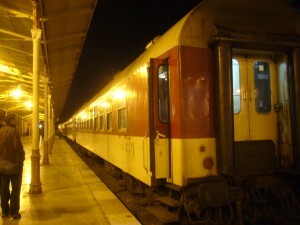 We arrive in Kapikule – everyone has to get off, walk along the platform, trough an undercrossing to the passport control. I was seriously fraught if my ID card and the sheet from the police will be accepted. I’m out! It worked – the border policeman looked twice at the document, scanned my ID twice and than I got a small paper with only the exit visa on it. Did not took even more than 3 minutes – rest was waiting. The train moves slowly into the European Union. The policeman got someone who slept the border control and had to jump over the rails to the passport control – so we had 5 minutes delay. But also this was not a big problem. Some Bulgarian policemen get on the train – and there is a difference visible. 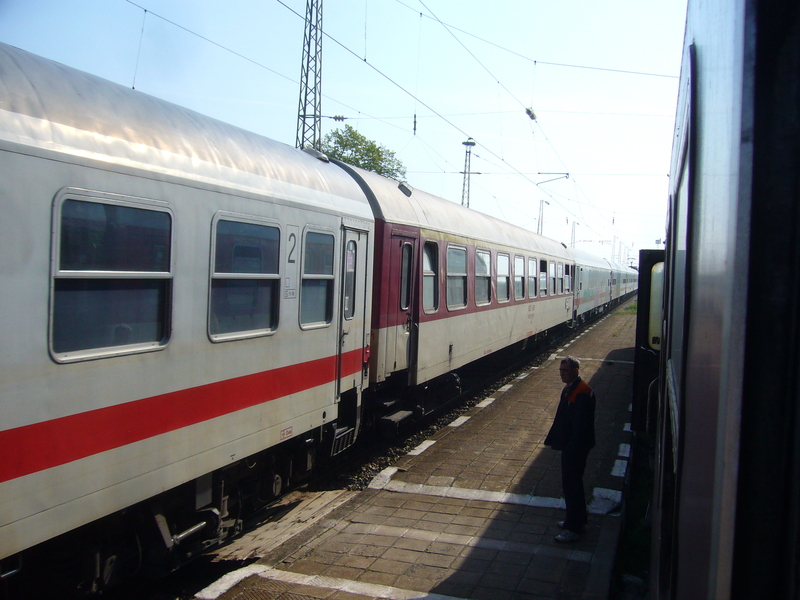 We enter the European Union – the Bulgarian control is on the train with mobile scanners and a laptop and some other electronic stuff, which I could not identify. The policeman – who also controlled the small space below my seat – asked my where I want to go – Sofia – and looked at me. But I could explain him, that I’m an exchange student and the Turkish document showed once more, that I got rid of my passport. He understood – Няма проблем. Another man came into my cabin and asked me for my baggage to control. 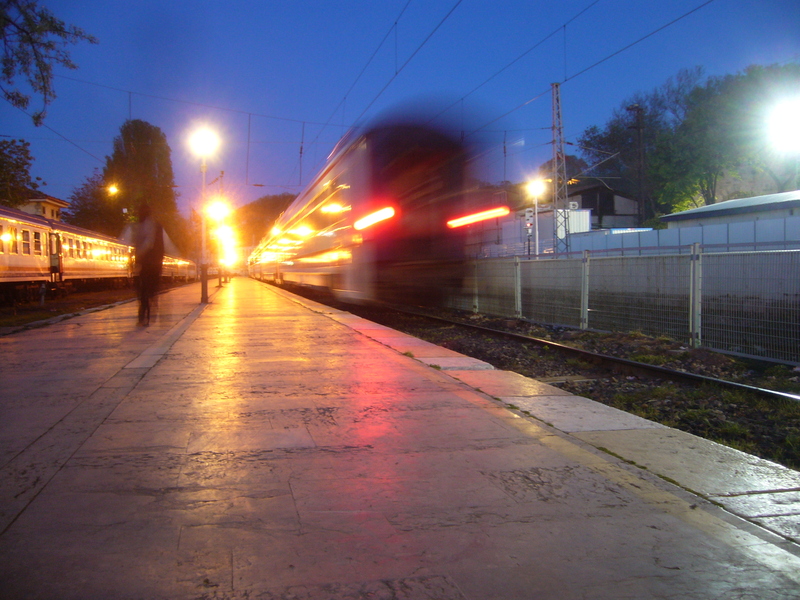 He asked if I have alcohol or cigarettes with me – I denied and he was happy with that. Survived also this control…. Someone knocked on my window. 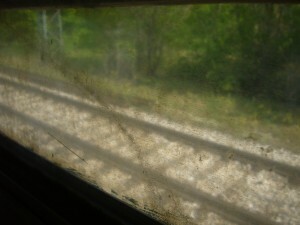 I hardly saw anything outside because the window was mirroring quite well – but I saw known faces. 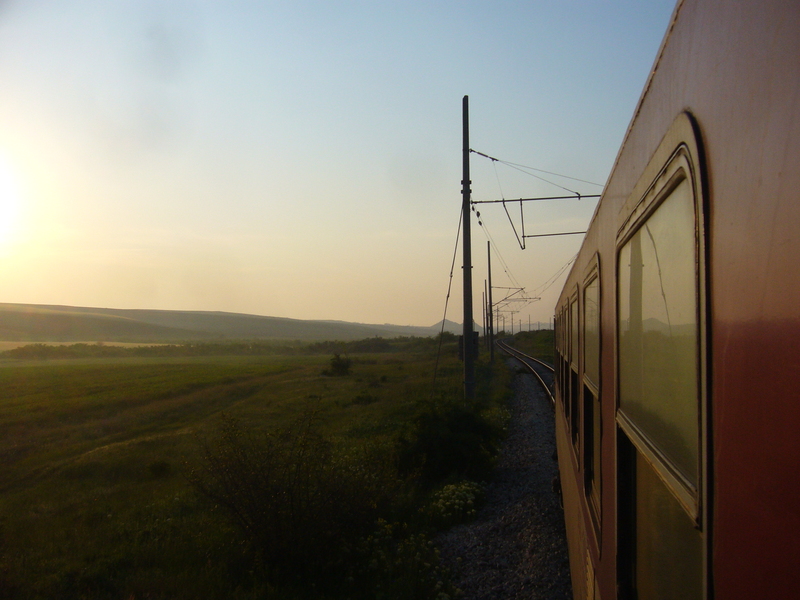 Due to the implausibility of such a situation – being at the end of the world in a train at the Turkish-Bulgarian border – I cast doubt on myself. But it turned out – there were 3 guys from the Erasmus delegation, who waited for this train at the border. For 8 hours – in the middle of nothing. 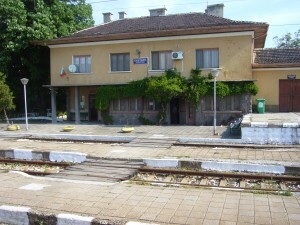 Scheduled departure of the train from the border station Svilengrad. 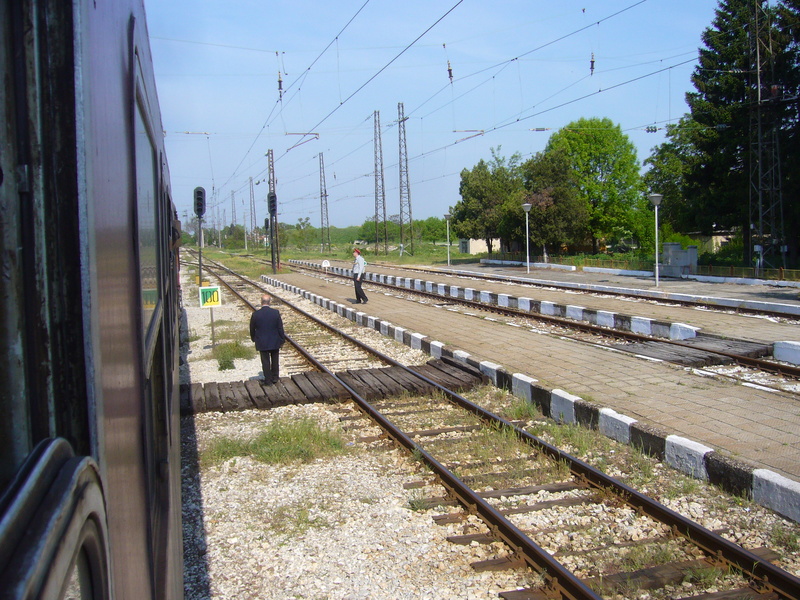 Actual departure of the train from the border station Svilengrad. 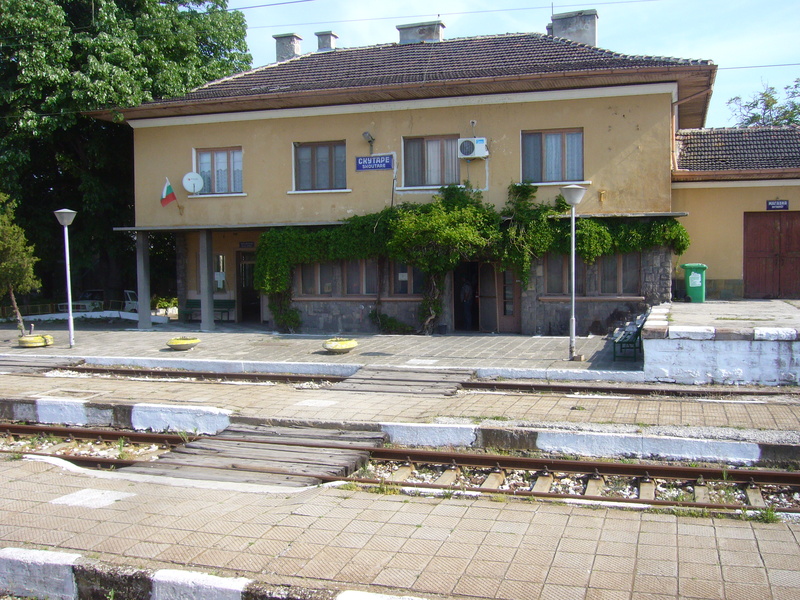 David and Arrowe came over for a short talk – they just waited at the border for the train because they wanted to go to Burgas. 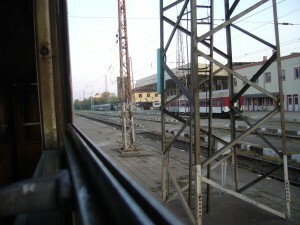 Seemed to be not so much fun to wait 8 hours at a train station in no man’s land between Turkey and Bulgaria. Sadly no one of us knew when the train was about to be seperated, so we just had a short talk and the two left back to their wagon. 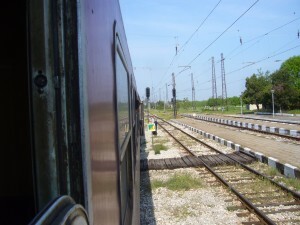 Simenovgrad – scheduled departure: 5:54 o’clock. The journey continues. Two minutes early – but not problem. 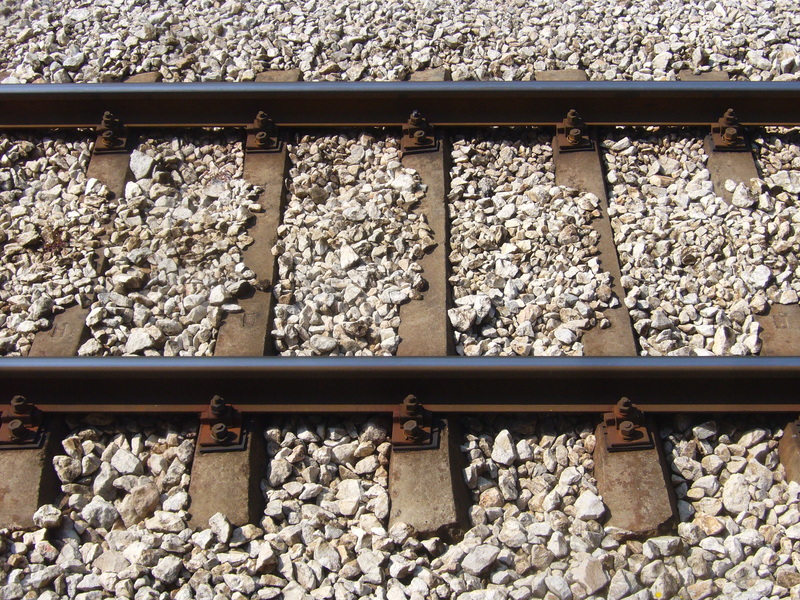 Soon we will be behind the schedule…. Starting from here I did a lot of pictures. As visible right behind the train everyone crosses the railway – very common. 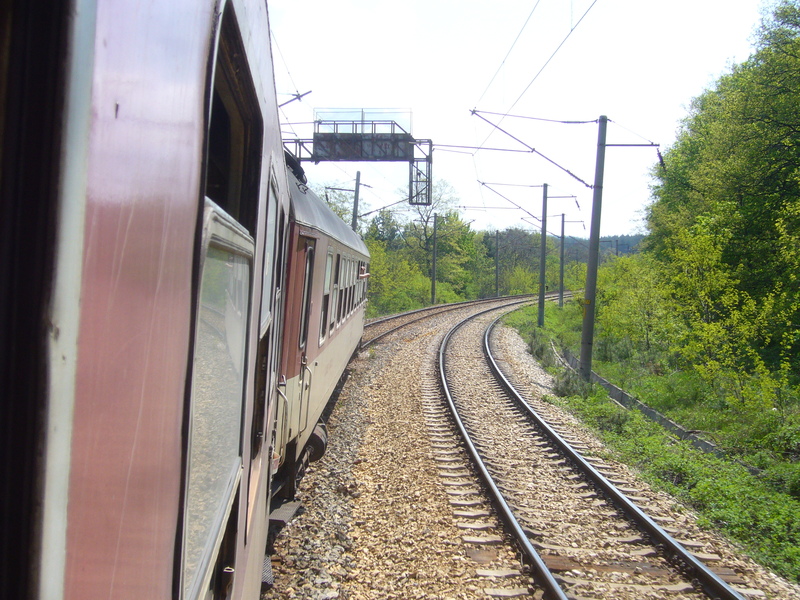 And as a lot of level crossings don’t have lights or barriers, the train used the honk very often. Sometimes until just seconds before crossing the street. 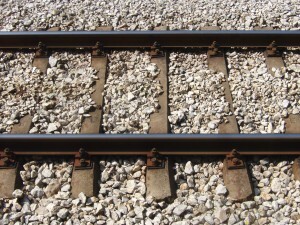 Obviously a lot of drivers want to stay „fast“ and cross right before the train. Crazy. 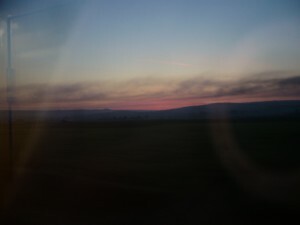 Still the sun is rising and dunks the landscape in wonderful colors. 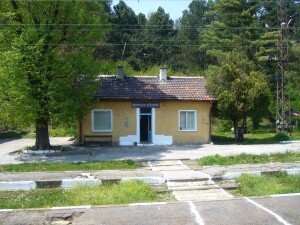 A building next to the railway line. "Shittines chic..."
Very annoying: the embankment is supported by old broken concrete swells. The train has to drive slow…. 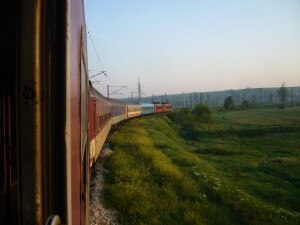 In between I slept some two hours – so I missed the uncoupling of the train part to Romania. And I don’t know what happened. We are a ‚bit‘ late. 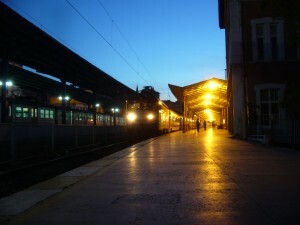 Now we are waiting in a small station. 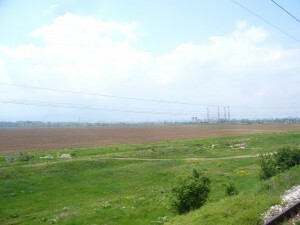 I don’t know where exactly, but some 50-70 km away from Plovdiv. 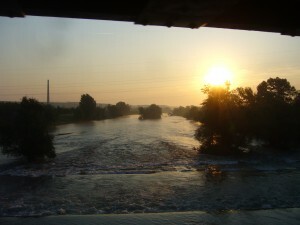 Scheduled arrival at Plovdiv: 08:01 o’clock…. 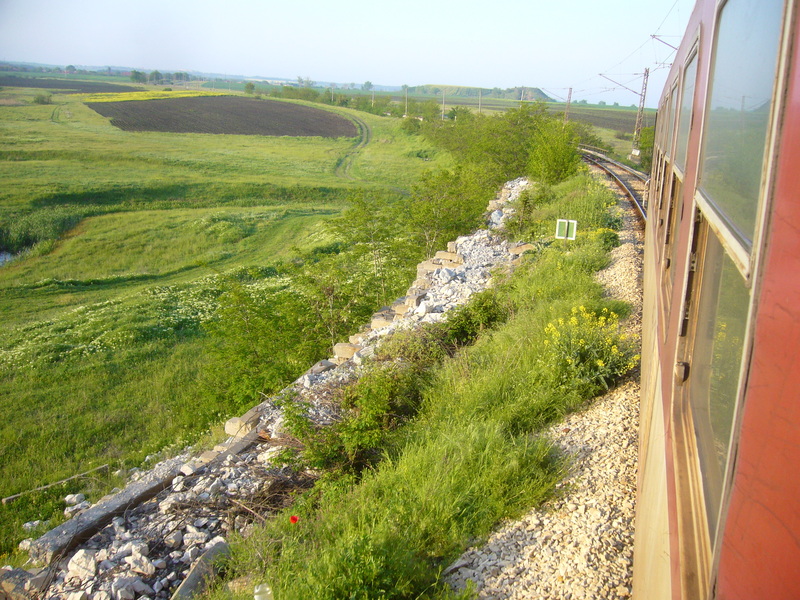 After this train passed by – the wagon looks very similar to the German colour-scheme – we started to go really fast. 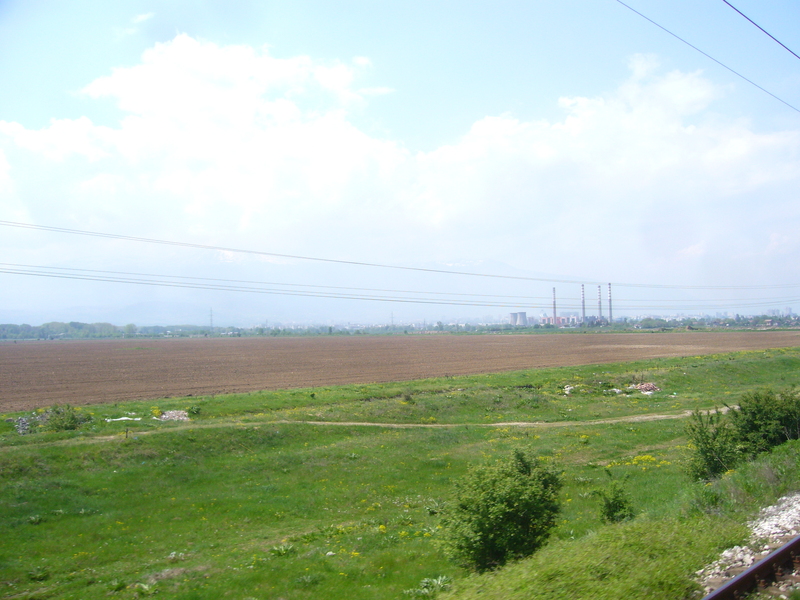 With 100 km/h we are getting to Plovdiv. And 100 km/h in this trains feels really, really fast…. 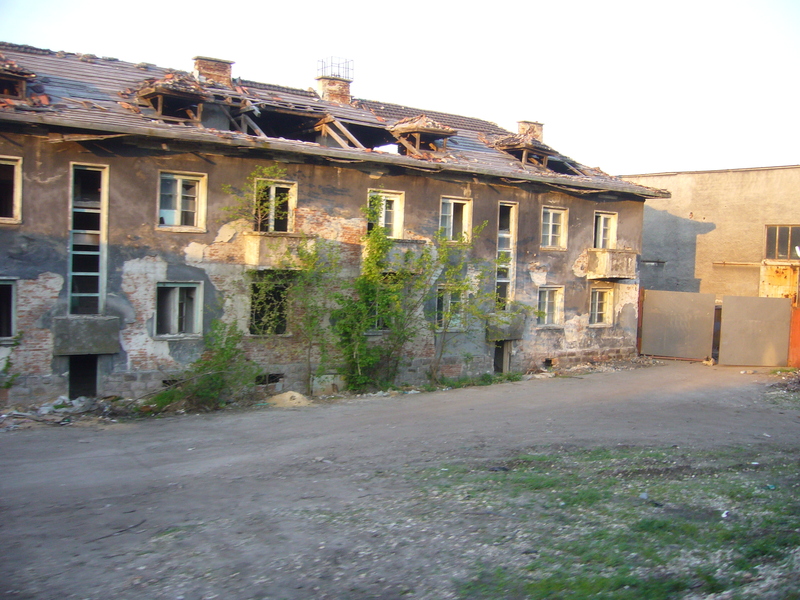 We are still standing in Скутаре/Skutare. Time to make some pictures. 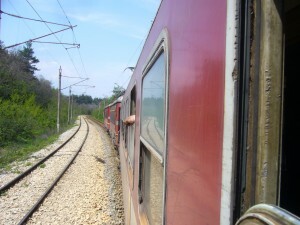 Standing at the window - it might look faster than we are: speed: 0 km/h. 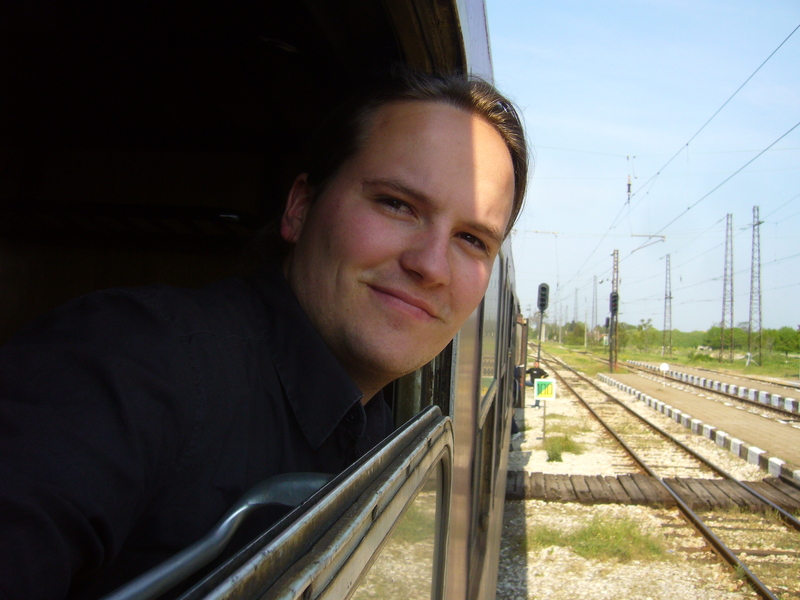 Meanwhile the driver had to go into the station building, the station master came a few times to the train and back and they signed some papers… I suppose the driver had to explain himself why he drove past the signal…. …normally these swells are not that skewed. 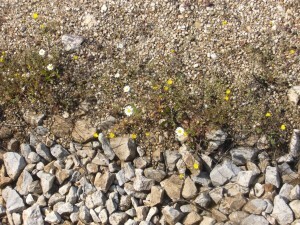 But apart from this it is totally silent – except the birds singing. Seems to be a nice-to-have luxury: one locomotive per wagon. I was sitting in the only seat wagon. 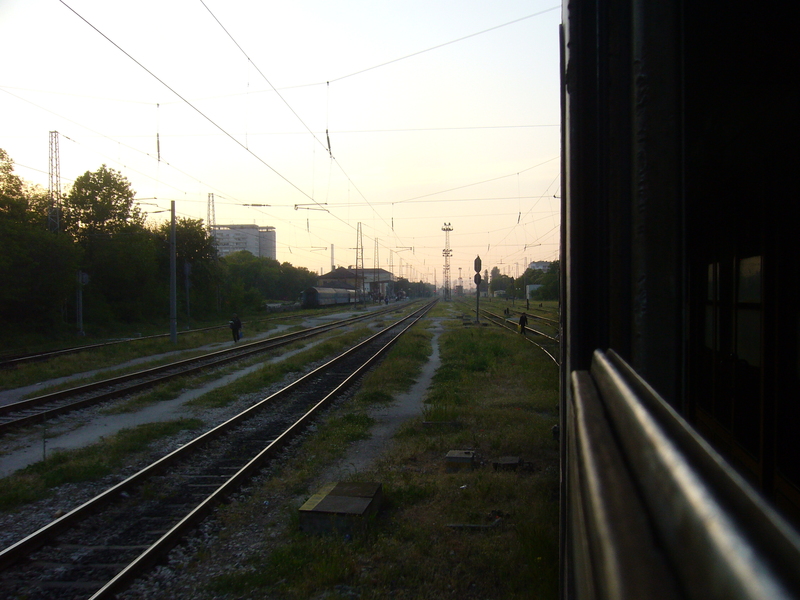 Arrival in Sofia; scheduled: 10:35, delay: 2,5 hours. About 26 hours after I realized that my passport is away I reach my current home-town. 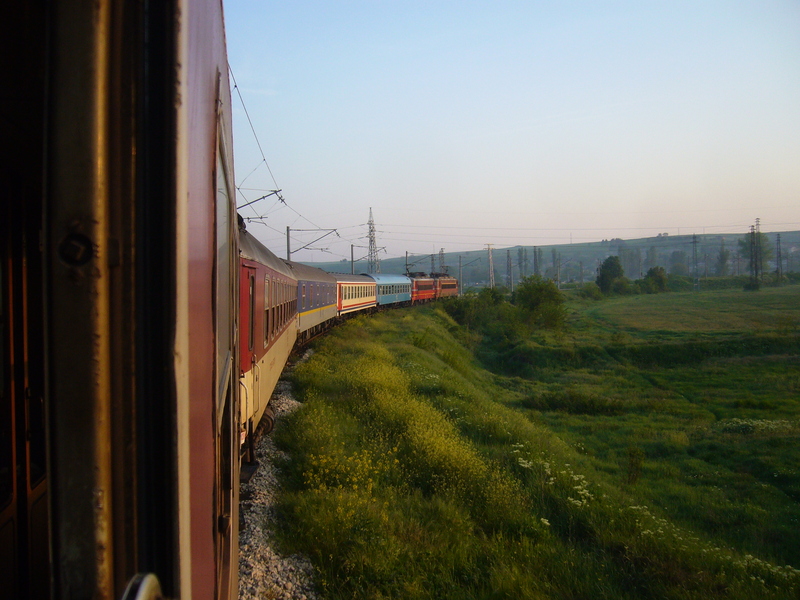 It was a really amazing trip – having tea with Turkish policemen, a tramway accident, a special fare for the sleeping wagon and a few other Bulgarian adventures…. And – by the way: I found my passport. It was in my rucksack when I unpacked it in Studentski Grad. 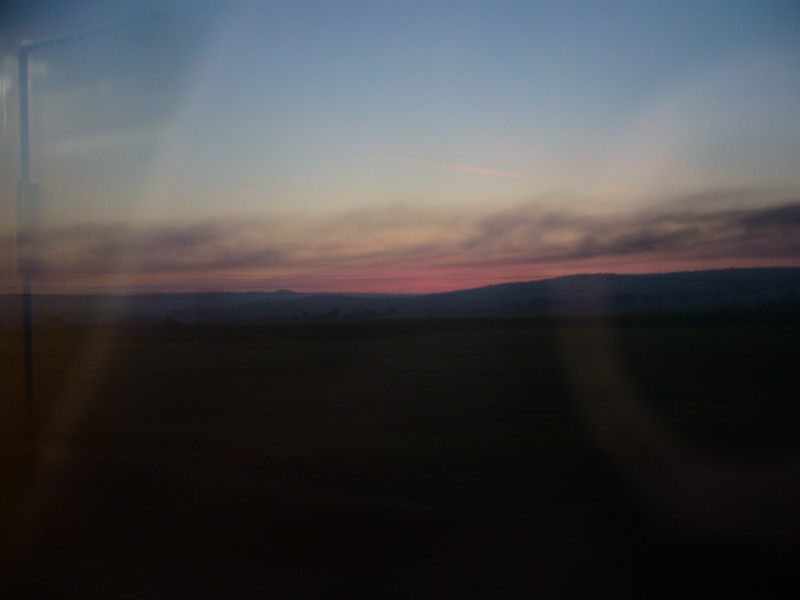 Perhaps I should look more precisely next time – it’s all but certain that I will go to Istanbul once more. 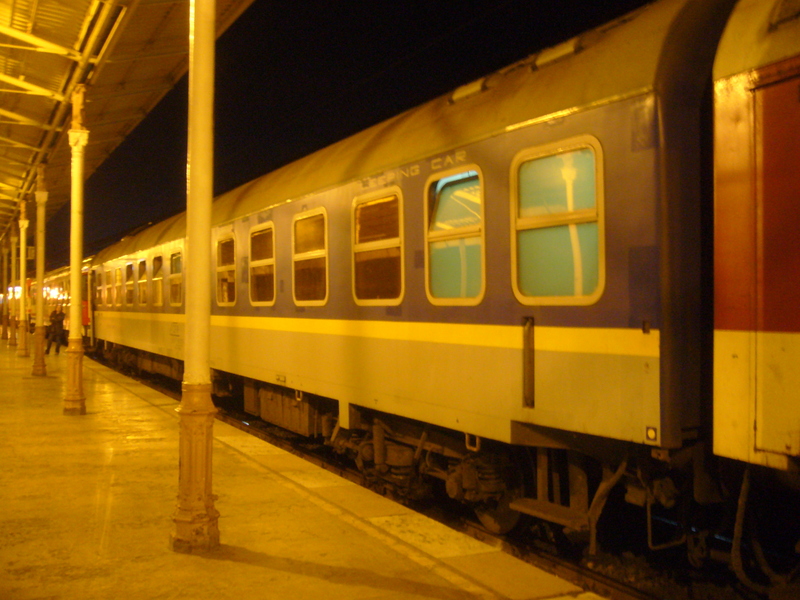 This time with the train and a sleeping place for the whole journey….